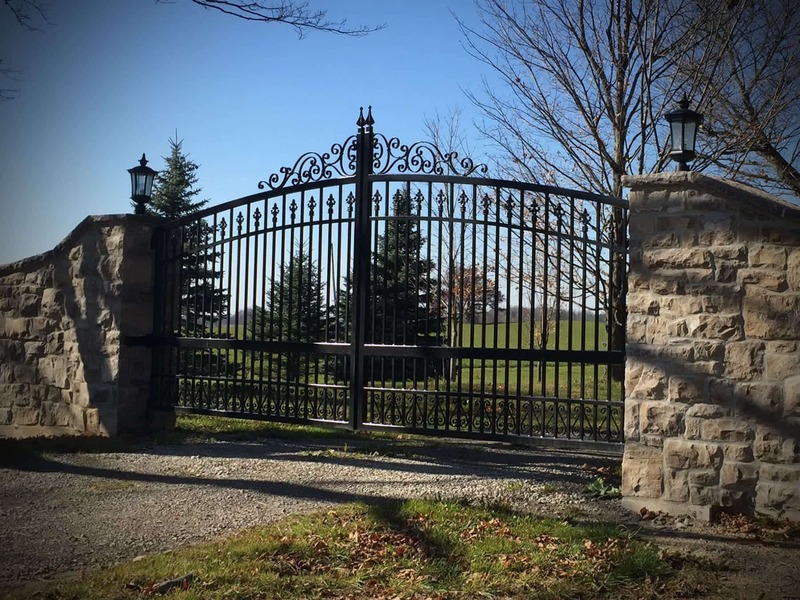 Specializing in the design, fabrication and installation of premium wrought iron driveway gates and fencing throughout Ontario. Our custom built pieces are not only durable but also possess a unique design aesthetic. We provide custom gates and fencing to all of Southern Ontario and the GTA including Toronto, Brampton, Mississauga, Milton, Guelph, Puslinch, Oakville, Caledon, Burlington, Ancaster, Niagara on the Lake, Grimsby, Vaughan, Aurora, King City, Richmond Hill, Stouffville, Barrie, Orillia, Uxbridge, Orangeville, Collingwood, London, Brantford, Dorchester, Waterloo, Kitchener, Cambridge, Stoney Creek, Hamilton, Chatham, Windsor, Woodstock, Cottage Country, Muskoka, Bracebridge, Gravenhurst, Bala, Parry Sound, Huntsville.